Orthodontic treatment fees may vary depending on your individual needs. We will discuss with you the cost of treatment and your payment options so that you are able to make the best choice for you. Your smile is important to us! 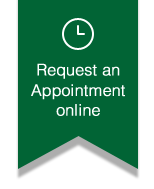 We want to make it easy for you to receive the best orthodontic care. Our front desk staff is always available and will be happy to help you with filing your insurance claims. We do ask that you come prepared with the proper insurance information and your insurance benefit amount so that we can serve you better.